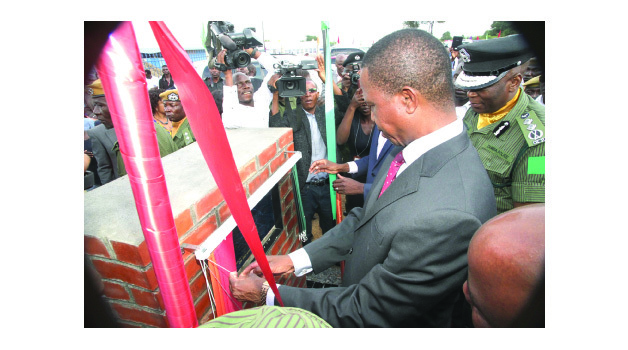 • President Edgar Lungu commissions 91 house units at Kamfinsa Mobile Unit in Kitwe. PRESIDENT Edgar Lungu yesterday handed over housing units for police officers at Kitwe’s Kamfinsa Mobile Unit with a call on all law enforcement agencies to clamp down on all forms of violence in the country. Mr Lungu said police should spare no effort in ensuring that Zambia remained a beacon of peace as well as a haven and a sanctuary for those running away from confusion in neighbouring countries.